The new Juilliard Store kicked off the school year by hosting a book reading and signing with Juilliard alumnus John Canarina, whose latest book, The New York Philharmonic: From Bernstein to Maazel, hit bookstores in September. Canarina continues the thread begun in Howard Shanet’s Philharmonic: A History of New York’s Orchestra, which chronicles the orchestra from its inception through the close of George Szell’s final season as music director, in 1970-1971. 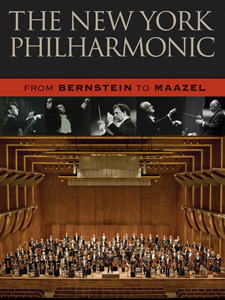 The new volume backtracks to the 1958 beginning of Leonard Bernstein’s historic tenure as music director of the New York Philharmonic—a subject in which the author is exceptionally well versed, having been an assistant conductor of the orchestra under Bernstein—and closes in 2009 with the conclusion of Lorin Maazel’s. A 1958 conducting graduate of The Juilliard School, Canarina was welcomed back on September 28 to share his book with the Juilliard community. He read several passages before answering questions and, of course, signing books. A sense of well-founded reverence for America’s oldest orchestral institution permeated the evening. A significant theme of the book is the relationship between the Philharmonic, its musicians and administrators, and the New York press. Canarina shared the story of a now-famous 1962 incident involving pianist Glenn Gould, Leonard Bernstein, and New York Times music critic Harold C. Schonberg. Gould’s vastly broad tempos in Brahms’s First Piano Concerto diverged so wildly from Bernstein’s interpretation of the piece that the conductor felt compelled to speak to the audience before starting the concerto, saying that while “I cannot say I am in total agreement with Mr. Gould’s conception ... Mr. Gould is so valid and serious an artist that I must take seriously anything he conceives in good faith.” Schonberg viewed this speech as an abdication of responsibility on Bernstein’s part and wrote a scathing review of the concert, which itself has become the subject of much discussion. Despite—or perhaps because of—the controversy surrounding it, the performance was later released on Sony Classical, and Bernstein’s remarks can be heard on the disc. From the New York Philharmonic’s performances at the Abyssinian Baptist Church in Harlem to its historic 2008 trip to North Korea, from technical mishaps to the reaction of the New York press, Canarina’s stories provide a fascinating glimpse into the history of one of America’s greatest orchestras as seen through the eyes of a man who was part of it. Coming events at the Juilliard Store include a slide show and book signing with photographer Steve J. Sherman, author of Leonard Bernstein at Work: His Final Years, 1984-1990, on Tuesday, November 9, at 7 p.m., and a reading-signing with music critic Alex Ross, author of The Rest is Noise and Listen to This, on Thursday, November 18, at 5 p.m. The store is at 144 W. 66th Street.